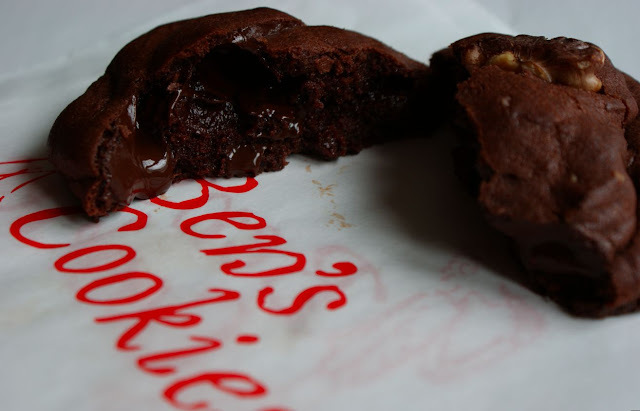 One of the biggest culinary highlights of Oxford - at least as far as I'm concerned - is Ben's Cookies. They're incredible. You get them from the tiny little hatch shop in the Covered Market, bold in red and white and decorated with the fabulous Quentin Blake's special illustrations for them. (Anybody else grow up with Roald Dahl's books and Quentin's illustrations?) They bake the cookies on site and sell them either by weight and then popped in their infamous paper bags or in tins of six or ten. You can get a glass of milk or filter coffee too. They don't confuse it by adding or baking anything else: it's all about the cookies. 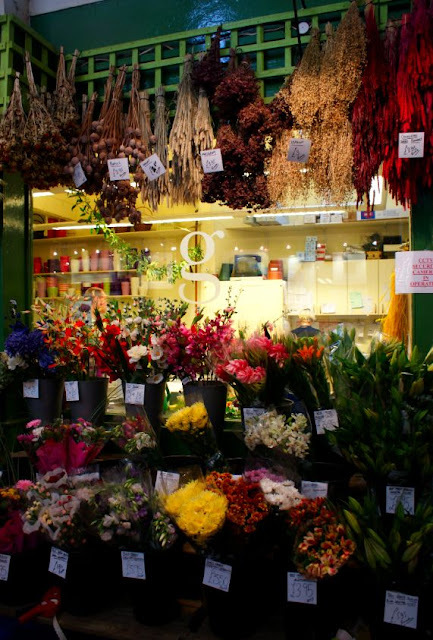 The Covered Market is one of my favourite places in Oxford. 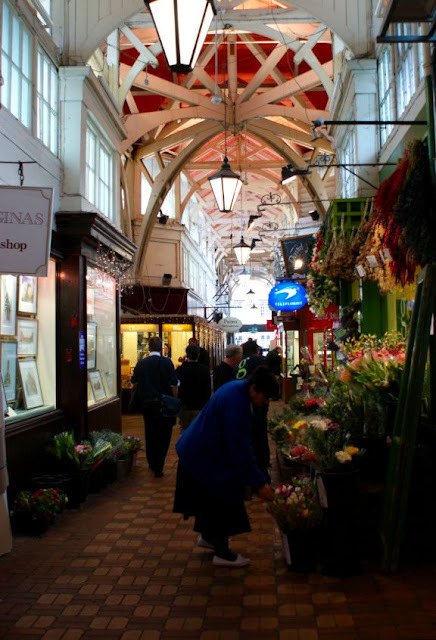 It's a little complex of shops, cafes, butchers, grocers, florists, cobblers, milliners, delis, sandwich shops, jewellers, pet shops, everything you can think of, all clustered under the vaulted pink roof of the market. 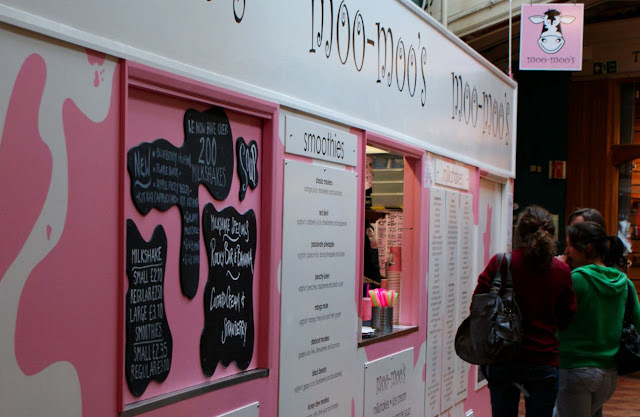 I love the way it has all the individual shops - not like the big supermarkets of today - in their tiny little premises. They actually focus on what they're selling and do it brilliantly - as individuals rather than corporations - which gives it so much character. 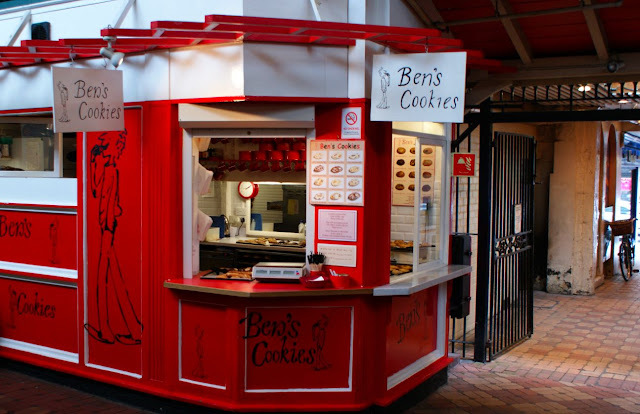 From their little hatch, Ben's sell twelve flavours of cookie. 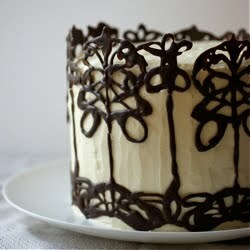 White, Milk and Dark Chocolate Chip. Double chocolate chip (chocolate dough and milk chips). Triple chocolate chip (chocolate dough and white and dark chips). Milk chocolate and Orange. Raisin and Oatmeal. Dark chocolate chip and Ginger. Fruit and Nut with Dark chocolate chips. Dark chocolate chip and Nut. And my favourite, my eternal order, the one some of the assistants give me without asking, the model of these portraits... Double and Nut. These are not just any cookies. They take melt in the mouth to another level entirely. Always perfectly just undercooked, squidgy, yet crisp on the outside. They're often hot from the oven, the chocolate melted, oozing out. 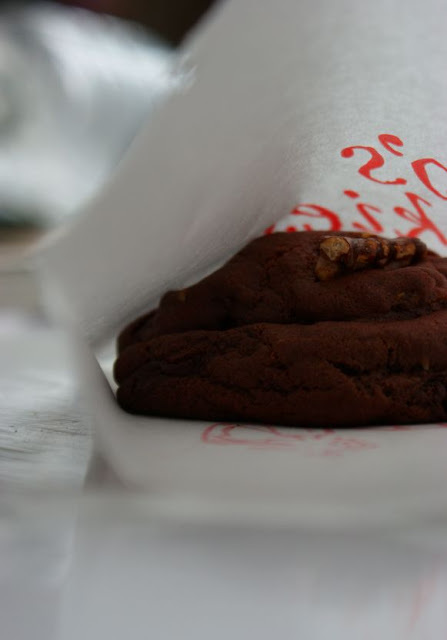 In winter I constantly got freezing fingers from eating the cookie hot out of it's iconic paper bag, getting chocolate all over them and having to lick it off. Often they ooze onto the sides of the bag as you break bits off. 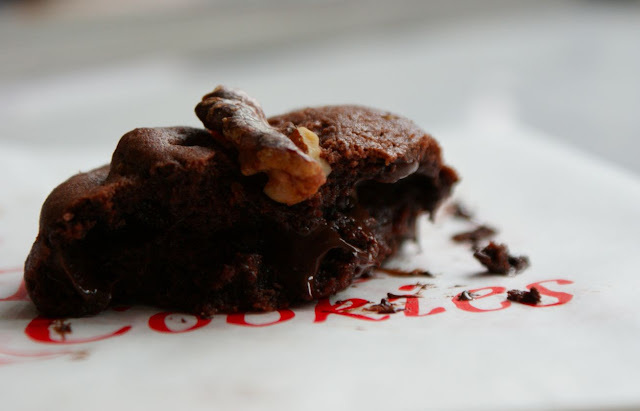 Double and Nut won my heart with it's dark, intense chocolate flavour, with plenty of muscovado in the depths, and a nutty overtone in the dough, the dark chocolate lacing it, chunks not feeble chips, and the beautifully toasted walnut on top, finishing a masterpiece. This week I got an early birthday present - a new digital SLR! So I am now the proud owner of a Sony alpha A350 - and it's pretty damn fabulous. I'm only really starting out on taking my photography seriously - I've got so much to learn - but it's amazing to have the scope for so much improvement and to learn with a real camera rather than my phone or mum's point and shoot! 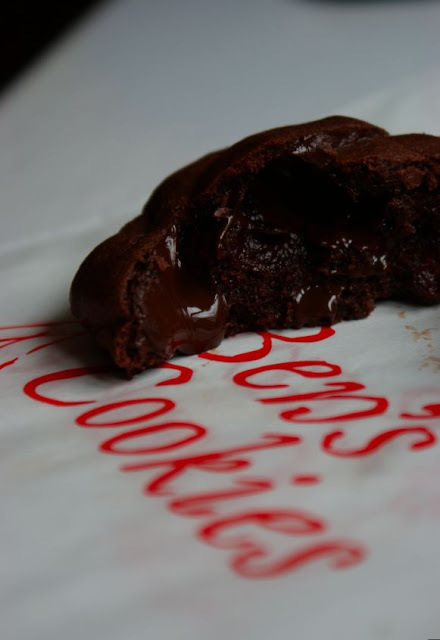 These photos for this post were the first things I took after getting the hang of the camera, and I hope I've done Ben's Cookies justice - I'm pretty happy with the results. Yet I know I'll be looking back in a few weeks thinking I could do so much better now, but then that's the brilliance of learning.